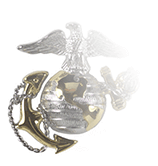 Use the selection boxes found on the right to select a Senior Master Sergeant embroidered rank insignia that is appropriate for the uniform on which it will be worn. Both the Dress Blue and ABU styles come in Large (4 inches) and Small (3.5 inches) sizes, with women Airmen being given the option of choosing the size that comports the best with their body shape on a wide variety of uniforms. However, regulations require wearing Large chevrons on the Chef’s coat and Ceremonial Band tunic regardless of the wearer’s gender. 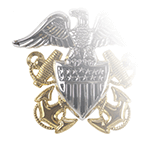 While the E-8 and E-9 pay grades were established for all branches of the Armed Forces of the United States through the Congressional passage of an amendment to the Career Compensation Act of 1949, the Legislature left the task of naming the ranks up to the individual military branches. 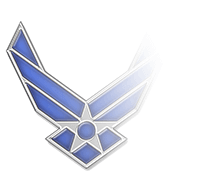 According to a 1992 monograph on the history of U.S. Air Force enlisted rank chevrons published by the Air Force Historical Research Agency, the Air Force asked for suggestions as to what the designations should be for the two new NCO ranks. 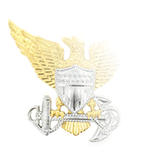 Senior Master Sergeant (SMSgt) and Chief Master Sergeant (CMSgt), for E-8 and E-9 respectively, were not only the most popular submissions, and but also were deemed to have the added benefit of appropriately reflecting ascendancy in grade (Master, Senior Master, Chief Master) while retaining the much-beloved rank designation of Master Sergeant for those E-7s not chosen for the new, elite positions. 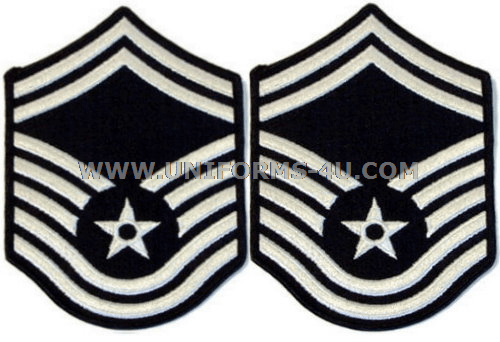 For the SMSgt rank chevrons, the Air Force simply added one upward-pointing chevron above the Master Sergeant’s six downward-oriented chevrons or stripes, a visual representation of the fact that it was a single grade above Master Sergeant (the CMSgt chevrons, of course, had two upper chevrons). 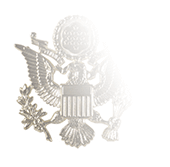 The current Senior Master Sergeant rank chevron design was approved in 1992.